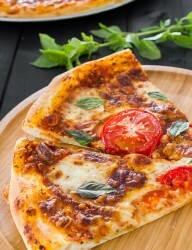 In case you missed my pizza recipes, well, I’m back. This time I went back to the classics, Pizza Margherita. 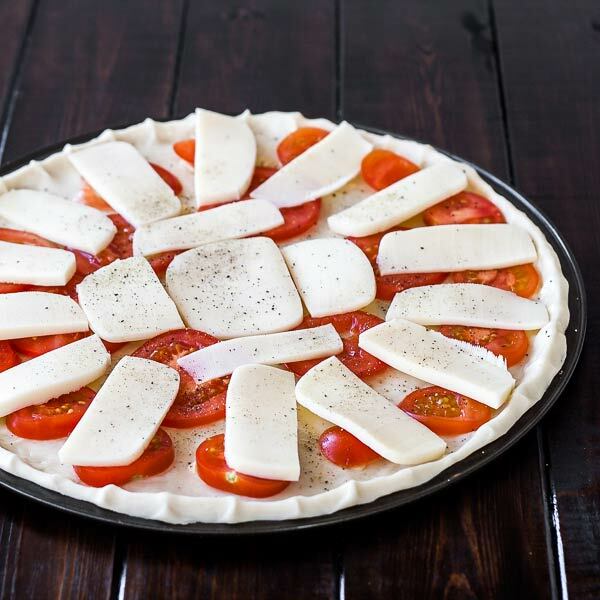 Delicious in it’s simplicity, with only three ingredients, tomatoes, basil and mozzarella, lore says it was created in honor of Queen Margherita and ingredients are specifically chosen to match those of the Italian flag, but who knows. Personally, I was a bit reluctant of trying this recipe because I like my pizzas to be a bit more richer in ingredients but, it was actually very good and pretty light too. I forgot to add the garlic but there’s nothing to it, though it adds amazing flavor to the whole thing. Everything you need is down in my instructions. I used a third of my dough recipe, on a 9 inch pizza pan. The remaining ingredients are spread over the dough the way you want them, in my case I chose to add the cheese on top of the tomatoes instead of the other way around and it worked nicely. 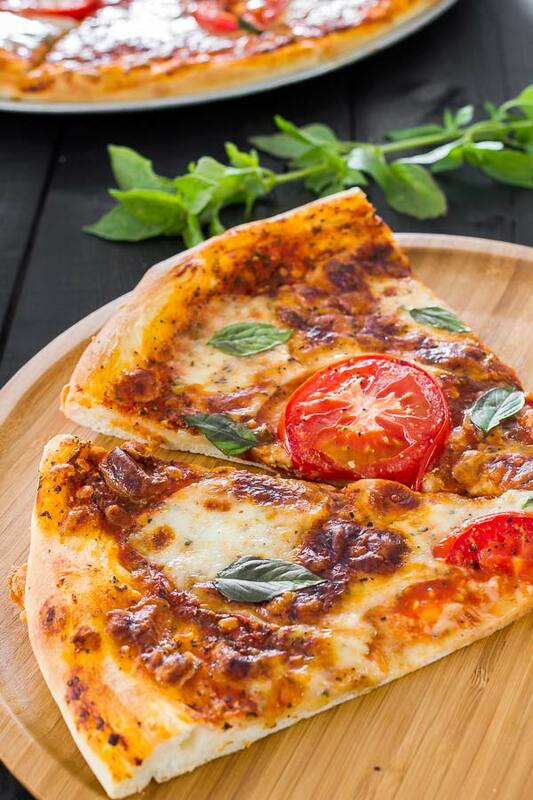 Last important thing is the basil, do not bake it, spread it nicely on top of your pizza after you are done with the baking, you can either chop it or use entire leaves, up to you. They will still change the color a bit because of the heat but they will still look good and taste will remain fresh. Enjoy! Top with the sliced tomatoes, mozzarella cheese and ground pepper. Bake for 10 to 15 minutes or until nice and golden brown. It is very easy to make. I will surely try it. Thanks a lot for sharing.